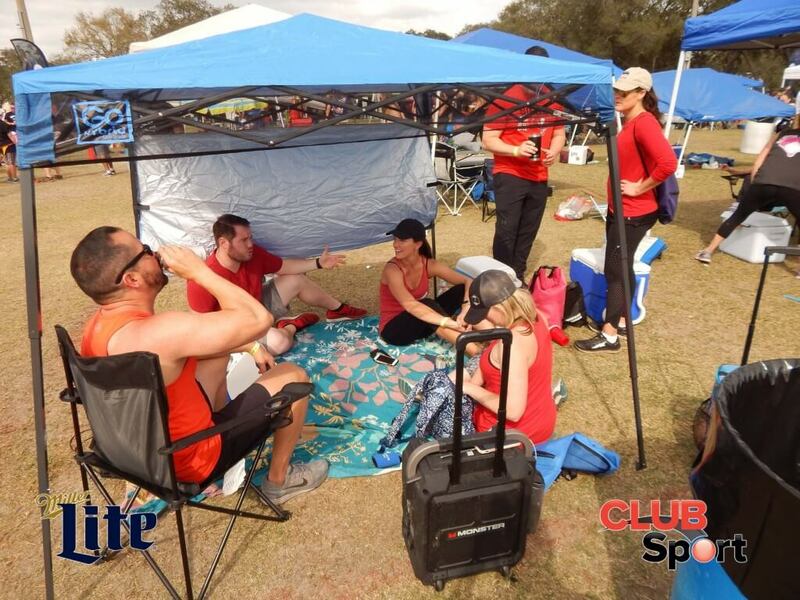 The Tampa Connection Alumni Committee organizes a series of socials and community outreach events, to assist Tampa Connection Alumni with continued networking and community involvement opportunities. All Tampa Connection Alumni are invited! Join us on Friday, April 26th for Happy Hour at Miguelitos. Feel free to come by anytime between 4:00 – 6:00 to connect with your fellow alumni. Enjoy appetizers and Miguelito’s HH drink specials (Half-priced wells, margaritas, and sangrias – $3 bottle beer). Feel free to invite your fellow alumni, current class members, and people interested in going through Tampa Connect next year! 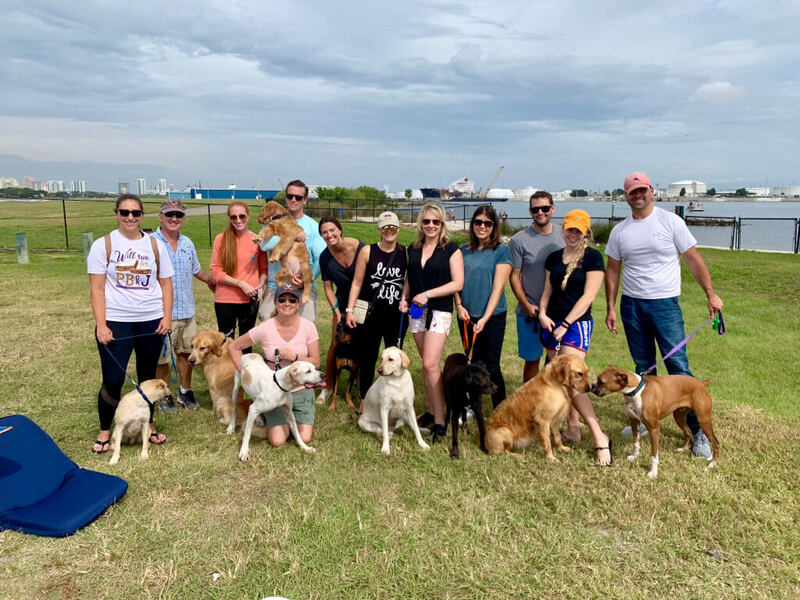 We enjoyed a morning of fun in the sun at the Davis Island Dog Beach with 12 alumni and 9 dogs. It was a fantastic opportunity for those alumni whose schedules make it difficult for them to attend our weekday happy hours to join us and reconnect. Tampa Connection members, as well as their friends and families, inspected perishable and non-perishable grocery items to ensure their quality. We then packaged those goods for distribution to our food insecure neighbors. Our efforts ensured that Feeding Tampa Bay would be able to deliver thousands of meals to our community in the days following the event. 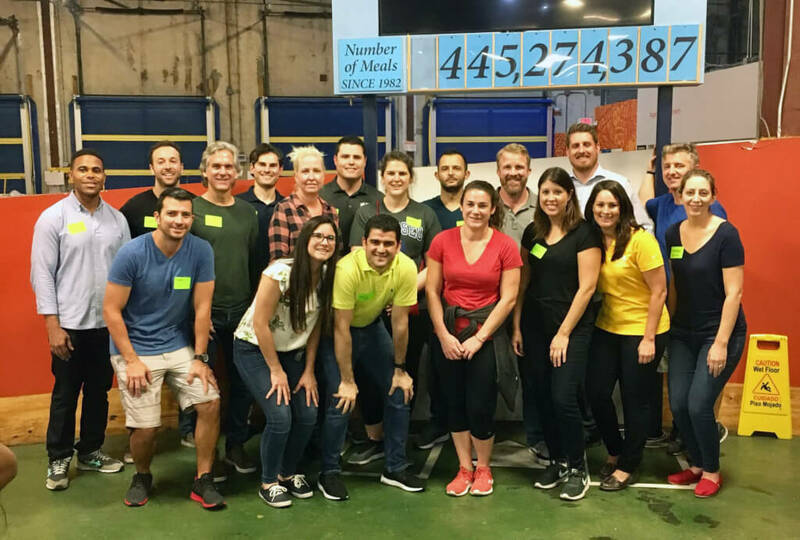 After volunteering at Feeding Tampa Bay’s warehouse, we gathered at Coppertail Brewing Co. There, Tampa Connection friends old and new raised a toast to our contribution to the community! 2018 Tampa Connection Holiday Party! We kicked-off the holiday season with our annual Holiday Party on Friday, November 30th for all Tampa Connection class members, board members, and alumni! Everyone enjoyed appetizers, a DJ playing music all night, and a fantastic photo booth. Tampa Connection sipped and strolled along the historic Hillsborough River. Join us Saturday, January 12th as we sip and stroll along the historic Hillsborough River. We met at Armature works and ended at the newly opened Sparkman Wharf. Friends, significant others, and colleagues all enjoyed the day with us! Just like your field day in grade school, with classic events like relay race and obstacle course. We grabbed some friends, set up camp, & had a blast! This event was organized by Club Sport with money being raised for Big Brothers Big Sisters. We partied like it was 1989! 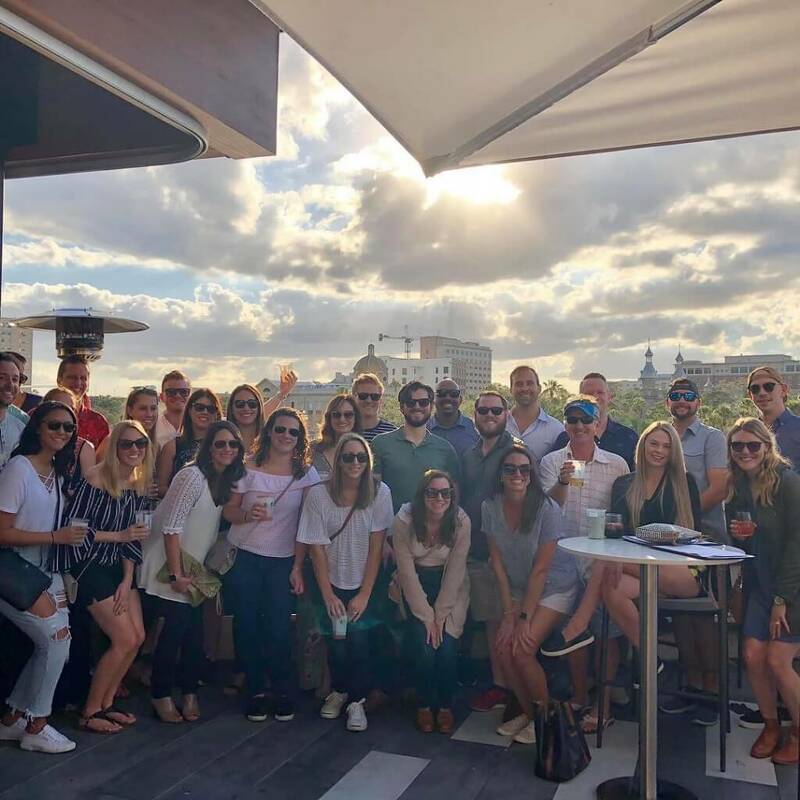 Current class members, alumni and those interested in learning more about Tampa Connection all enjoyed an incredible sneak peak at the brand new GenX Tavern in downtown Tampa. 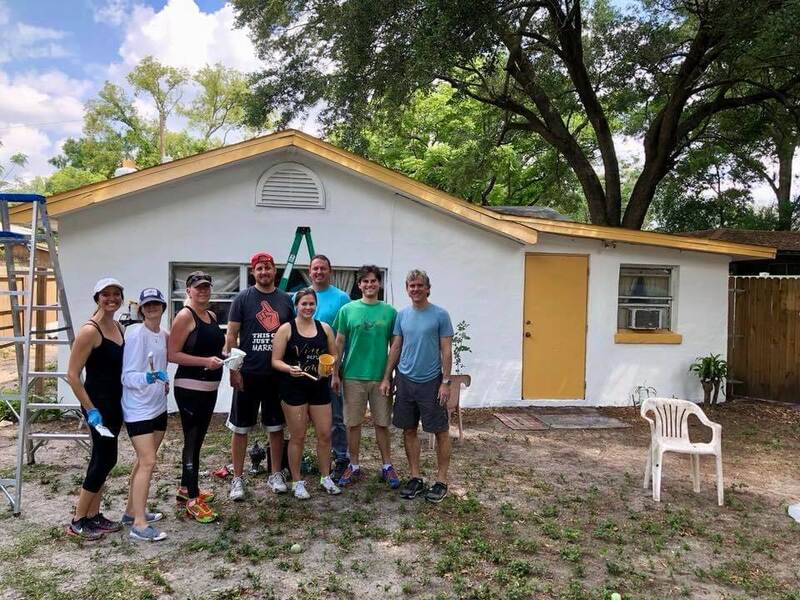 Each year, more than 2,500 volunteers help elderly and low-income Tampa residents by painting the exterior of their homes. The Tampa Connection is proud to once again participate in this citywide event. Join us as we paint a home in the heart of South Tampa!